Holy moly, are there a lot of sorry bus stops. 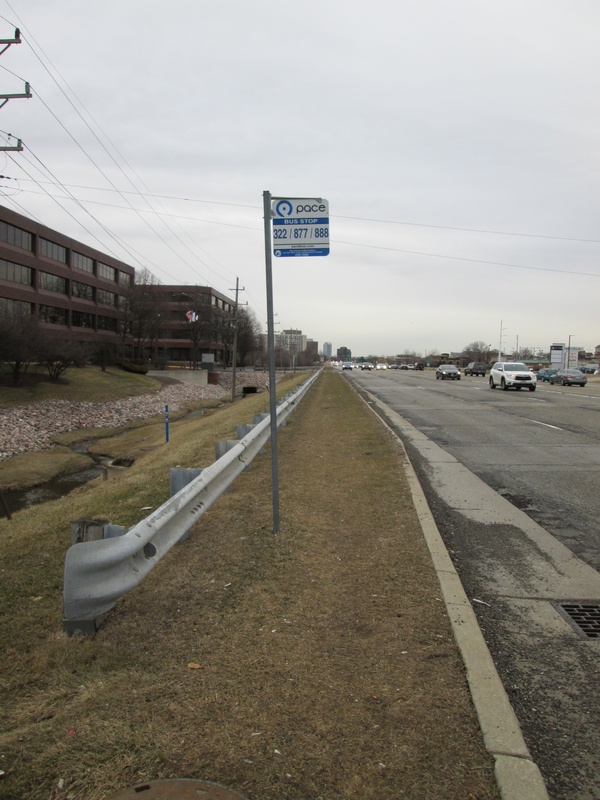 Starting next week, you’ll get to know the 16 awful transit waiting environments that will be competing for the title of America’s Sorriest Bus Stop this year. But we received so many submissions — more than 50! — that we had to spread the shame around and show you a few that didn’t make the final cut. Massive thanks to everyone who took the time to submit a bus stop. You’re shining a light on a big problem that doesn’t get enough attention from public officials. Shake your head at these six sorry, sorry bus stops. Is it any wonder so few people ride transit? Up top, we have a bus stop on McKnight Road in Pittsburgh, which is a perennial contender in this tournament. 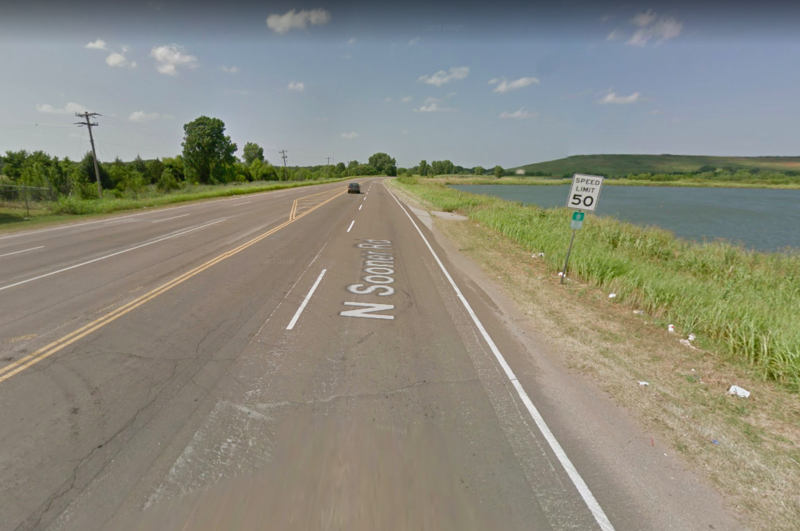 At least there’s a crosswalk to show you where to dodge cars on the scary divided highway. 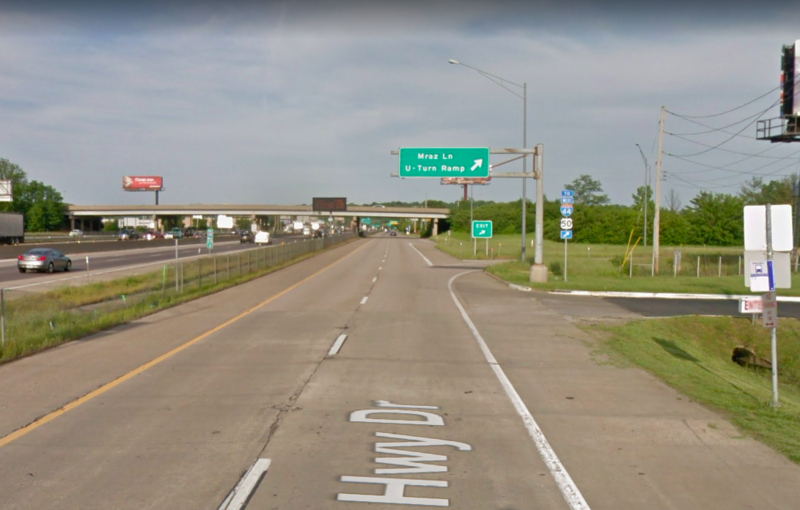 Then you can wait for your bus in a patch of dirt by roaring traffic, and don’t worry, that sad highway marker will definitely protect you in case one of those drivers gets distracted. …but it’s a dumping ground for concrete curb stops and other debris. 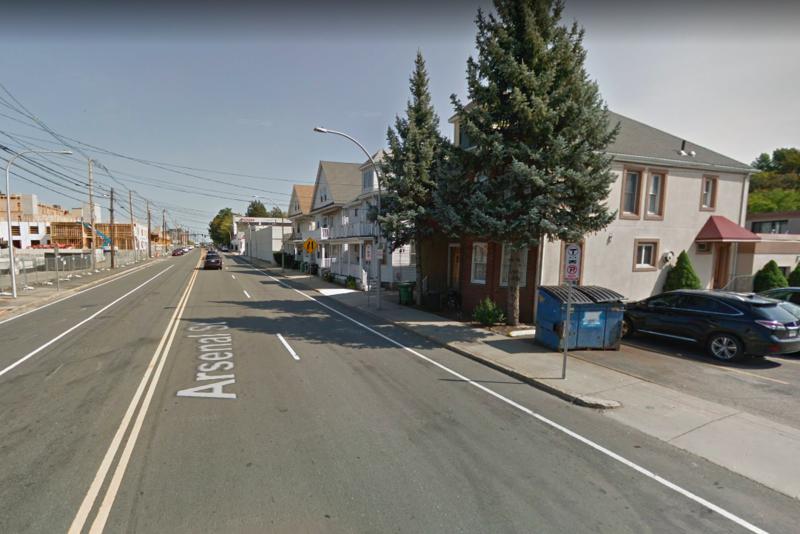 Or how about waiting for the bus on a skinny sidewalk between a curb and a dumpster in Watertown, Massachusetts? Also note that the people waiting for the bus are on the wrong side of the guardrail. So what is the guard rail protecting? The Watertown one isn’t so bad. The city can’t control where dumpsters go on private property. It is protecting cars from going into the ditch. Guardrails are not for protecting pedestrians, or even property adjacent to the roadway. They are only to protect vehicle occupants. 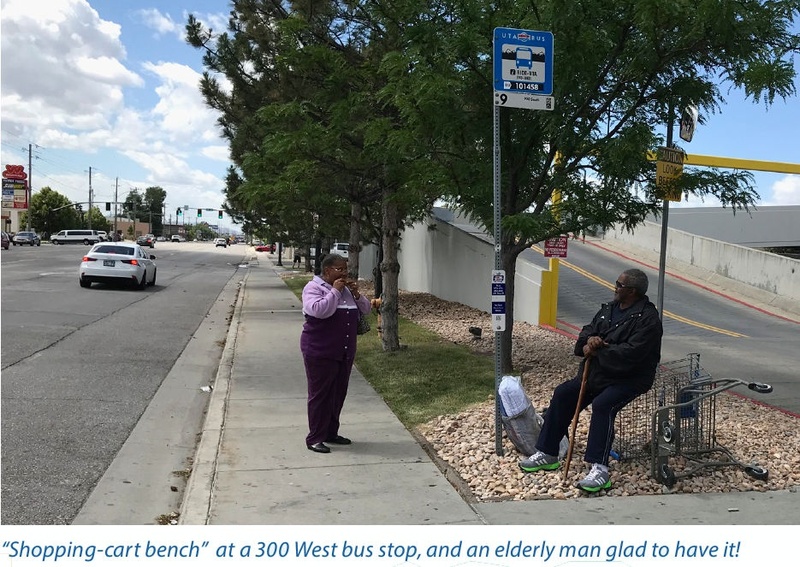 My town instituted a great program to upgrade its bus stops – while there are few in town, each was “adopted” by an organization (like one would do with a road), including churches, the Boy Scouts and a local seniors club. Each designed a “new england style” bus shelter (even with gables and dormers in some cases, or a weathervane in another) and included flowers, a bench, waste can and a bike rack. They turned out very cute and sweet – almost like little garden or doll houses. I find it hard to believe that there are 16 bus stops worse than the McKnight Road one. What makes it impressively bad is that in addition to lacking a sidewalk, it is on a slope that might make it hard to stand, while the other bad ones are at least on level, flat ground. I love these examples, but I am going to stop in Miami appears to be separated from all those apartment buildings and their desirable density by a set of railroad tracks. So not exactly urban planning at its finest. Agree with Bruce: the Watertown example seems like a cheap shot. So, the sidewalk is skinny–big deal. That’s usually the case on streets that are less than super-busy that were designed before 1990. The dumpster could get moved overnight and this stop would be just fine. At some point you have to let some things go. You can’t always let perfect be the enemy of the good. Oh yeah? Check out this “bring your own bench” stop in Salt Lake! The sorriest bus stop is the one that does not exist, because of this bus stop shaming game. 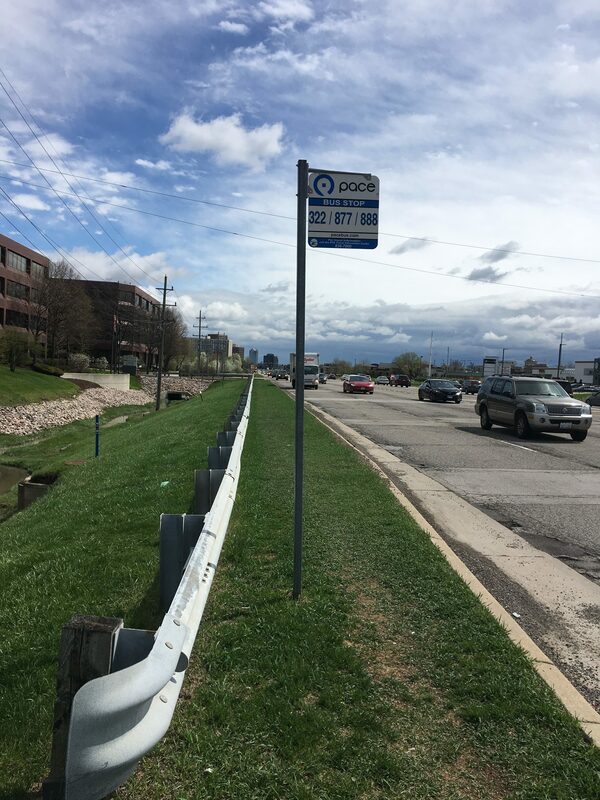 A non-existent bus stop forces a person to traverse treacherous, pedestrian-unfriendly terrain even further to get to a bus stop that looks nicer. Bus riders are often disabled, senior, and have other ambulatory limitations and difficulties especially if they are carrying small children or packages. 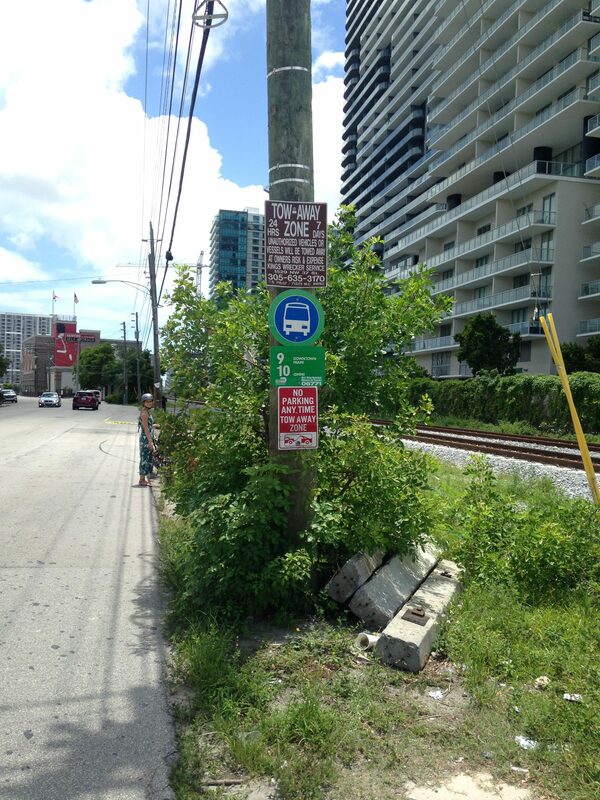 By shaming transit agencies, they simply remove these embarrassing stops. You’re really hurting bus riders more than helping them. Transit agencies would love to have sidewalks and nice pads at every stop, but it is often out of their hands. The roads are managed by the city or state entities that refuse to build sidewalks, crosswalks, or safer streets for a few bus riders. So you share photos of these stops, humiliate the transit agencies, they remove them, and voila, you’ve done absolutely nothing while hurting those who have the greatest difficulty getting around. But hey, it was good for a few laughs huh.